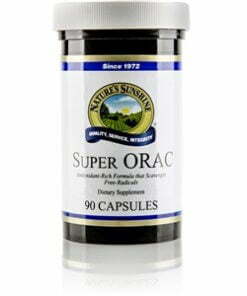 Nature’s Sunshine Super ORAC contains antioxidants, the body’s natural defense against free radicals, and other powerhouse nutrients from eight sources: decaffeinated green tea leaves, mangosteen pericarp extract, turmeric root, quercetin, resveratrol, apple extract, açaí berry extract, and selenium. 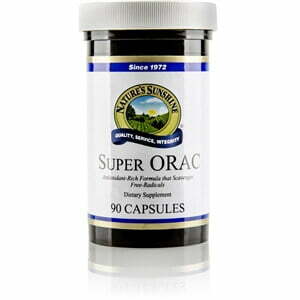 Super ORAC plays an important part in your battle plan for achieving health, vitality, and longevity. Instructions: Take one to two capsules twice daily with meals.